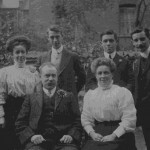 Mike Barnes, who runs the Barnes Family History website, tells how he searched for Herbert Robert Albert Barnes, his first cousin twice removed, after his father showed him a letter written by his Aunt Violet in 1996. 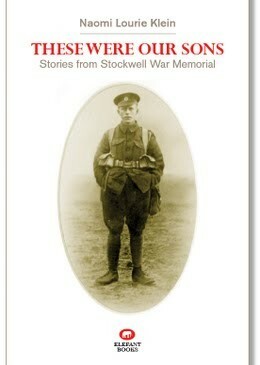 In the letter Aunt Violet told of two brothers, one of whom died in the First World War of a stomach wound. The letter identified him only as ‘Bob’. 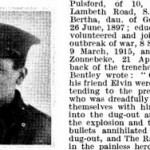 After a lot of digging around in the 1901 census and the Commonwealth War Graves Commission database, Mike found that ‘Bob’ was Herbert Robert Albert Barnes of the 24th Battalion, London Regiment. 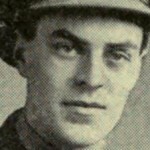 He is listed as Albert Herbert Robert. 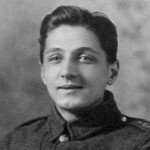 Herbert Robert Albert Barnes was born on 26 January 1898 and was therefore only 16 when war broke out in 1914. He probably enlisted soon after his 18th birthday. His medal card shows his original 4-digit service number and the later 6-digit service number. 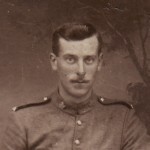 Re-numbering took place late 1916, early 1917 and this fits with an enlistment early in 1916. The 1/24th was formed in August 1914 at 71 New Street, Kennington Park Road and landed at Le Havre on the 16 March 1915. The 2/24th was formed in Lambeth, in August 1914, moved to St Albans in March 1915, then to Braintree, May 1915 then onto Sutton Veny in January 1916. The 2/24th landed at Le Havre in the June of 1916. In November 1916 the 60th (2/2nd London) Division, of which the battalion was a part, moved to Salonika via Marseilles and Malta. 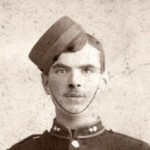 The transfer was completed on Christmas Day 1916. On the 2nd July 1918 the battalion moved to Egypt to take part in the Palestine campaign and in the May of that year returned to France, going via Taranto (30 July). The 60th Division was reformed in mid-1918 as a division of the Indian Army with many of its battalions, including the 2/24th transferred to the 198th Brigade 66th (2nd East Lancashire) Division on the 15th July 1918. The 2/24th was then transferred to the 173rd Brigade, 58th (2/1st London) Division on the 11th September 1918 in readiness to take part in the Battle of Epehy on the 18th September. Read about the preparation for the battle and the account of the battle from the battalion War Diary. 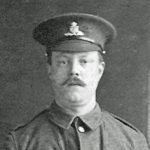 Herbert Robert Albert Barnes died on the 18 September 1918 and is buried in the Epehy Wood Farm Cemetery in grave II.B.20. He was 20. In 1911 Herbert Albert Robert Barnes, then 14, was living in 4 rooms at 31 Cobbett Street, South Lambeth (it runs off Dorset Road) with his father, Thomas George Barnes, 46, a cellerman from Reading, Berkshire, mother, Annie Barnes, 48, from Belfast, Ireland (this was before Irish Independence and the creation of the Six Counties), and a brother, Thomas Charles Barnes, 21, a butcher. There were two other children, not on this census return.